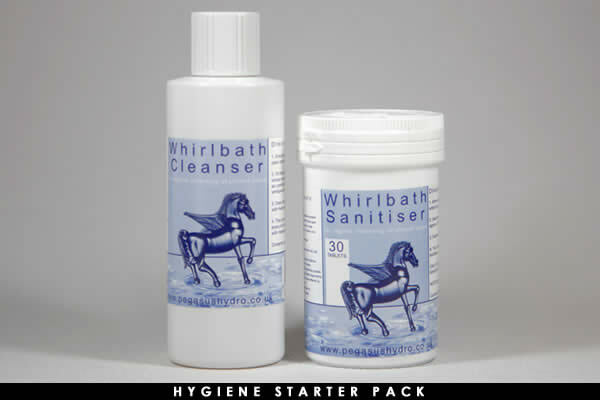 You have selected the deep soaking Omnitub Duo with 8 Flush-jet™ Pegasus Pneumatic whirlpool. 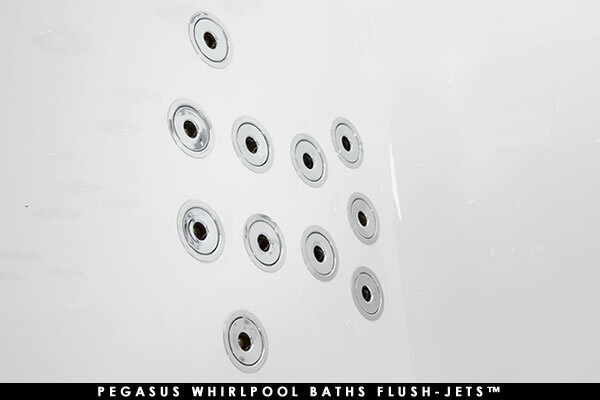 8 massaging, Flush-jets™ are where Pegasus whilpool baths begin. This kind of system is a great entry into the luxury of having a whirlpool bath in your own home. 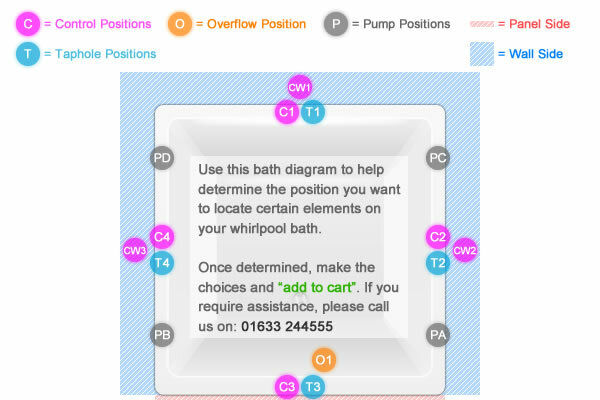 This deep soaking 2 person bath has some very unique options available when choosing your whirlpool jet configuration too. As you can see from the main image above, the jets can be orientated to either side of the bath. 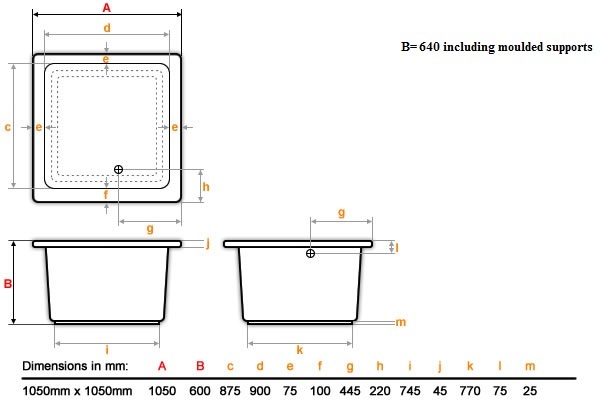 Just make a note of where the overflow and waste is in relation to how you would like to bathe within the bath, then the choice is yours to which orientation you want your jets to be configured to (North/South or East/West). If you require help in deciding, please give us a call. The Pneumatic 2 button chrome controls offer simplistic functionality along with a pleasing aesthetic. They perfectly compliment the functionality of this whirlpool system by keeping things simple for the bather whilst still looking attractive. This type of control can be mounted in various bespoke positions along the edge of the bath (see the diagram above for options).